Little did we know that we had a celebrity among us at The Nathaniel Witherell. 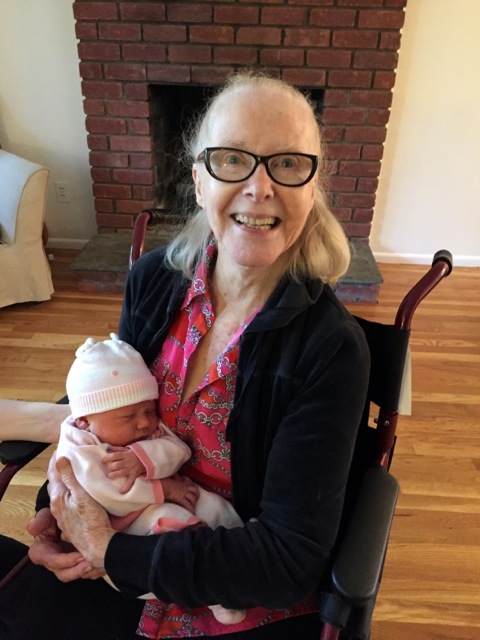 Our very own resident Nola Larkin was a legend on the Broadway stage, with leading roles in Cole Porter’s Out of this World, Alan Jay Lerner’s Paint Your Wagon, Harold Rome’s Fanny, and Mike Todd’s Night in Venice. She also won a contest on the famed Arthur Godfrey radio show and appeared on his television show. Another little known fact: she is the aunt of renowned actor Matthew Modine. Nola with her nephew, actor Matthew Modine. A bright and cheerful presence at the Witherell for the past two years, Nola loves attending its many musical performances, including those by the Bob Button Orchestra, along with guest and staff musicians. She’s also a big fan of Zumba and chair dancing. Spend a little time with her and you’ll be amazed at her life’s accomplishments. Born in Santa Paula, CA in 1924, Nola knew from an early age that she wanted to be in showbiz. She was only 17 when she auditioned for the Lionel Barrymore production of a musical story called Halloween. She got the part, performing at the Hollywood Bowl and the Standard Symphony Hour as well as the Hollywood Canteen for servicemen. After her first, and only, movie role, which was a small part in The Corn is Green starring Bette Davis, Nola became a soloist with the Sonja Henie Ice Shows. 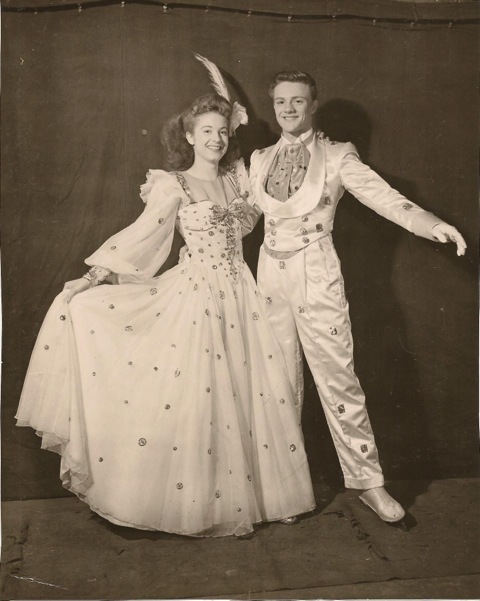 She completed two national tours, and came to New York to perform in Henie’s 1949 Ice Show at the now defunct Center Theatre in Rockefeller Center. Nola with Frank Turrella in the Sonja Henie Ice Show. Nola (right) with her daughter Jenny. A year later Nola joined the Broadway cast of Paint Your Wagon as the understudy for the role of the ingénue lead, Jennifer Rumson. She eventually assumed the lead role and stayed with the production after it left Broadway and went on a national tour with Burl Ives playing the part of her father. 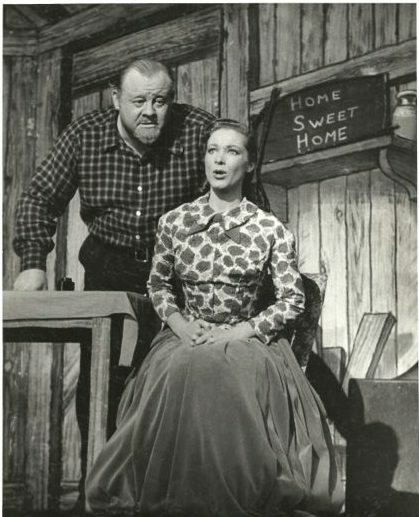 Nola with Burl Ives in Paint Your Wagon. Another highlight of Nola’s career was starring in Mike Todd’s production of the Johann Strauss operetta, A Night in Venice, which was the opening show at the newly-constructed Jones Beach Theatre in Long Island, NY. Nola had just finished A Night in Venice when she married Jim Larkin in 1954 (they later divorced). That year she won a contest on the Arthur Godfrey radio show, and then appeared on his television show for a time after that. Her first child, Alex, was born a year later when she was 31. Nola’s final Broadway opportunity came soon after, when she replaced Florence Henderson as the lead in Fanny. Nola with her great grand child Stella. 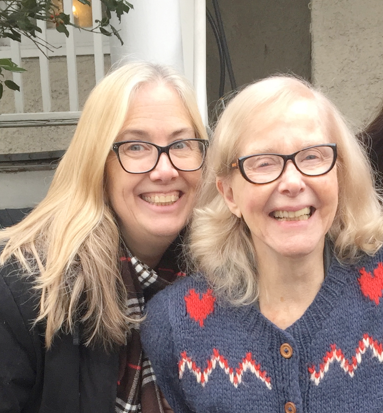 Nola moved in with her daughter in the early 2000’s and, according to Jenny, her mom was singing well into her eighties. In 2014, she had a stroke and went to the Witherell for rehab. Jenny always thought that her mom would return back to her house after she was released. However, Nola had made lots of friends and loved it at the Witherell. 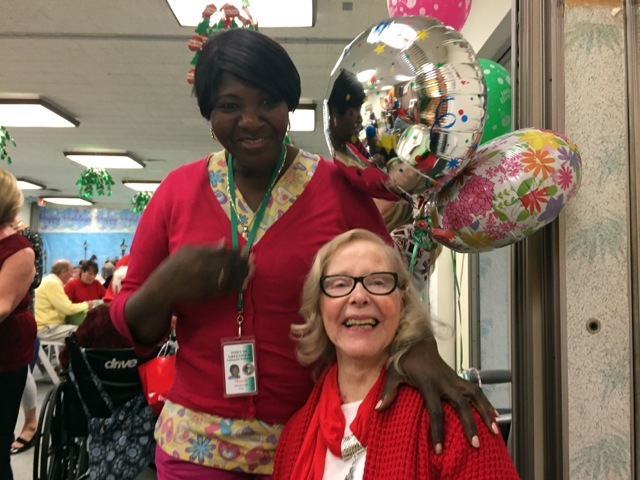 She asked Jenny if she could stay on as a resident. Nola with her aid, Marcia Grant.